Problems of Donation | Cordblood banking - Secrets of stem cell technology revealed! Whereas stem cell research leads to a fierce ethical debate, there are no such problems surrounding cord blood donation. If anything, the major concern is that very few donor programs exist. Co-relationally, the number of physicians who are geographically capable of participating in the programs is limited. A group of private cord-blood banks caters to families who want to store cord blood for their own children in case of future illness. 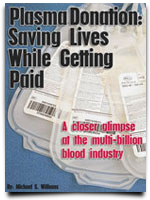 These facilities charge fees to collect and store cord blood for a family’s exclusive use. There are pros and cons to this private use of cord blood, but this is ultimately a personal decision for families to make. 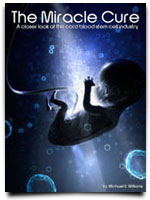 The use of umbilical cord blood raises two main ethical problems. First, the exact timing of the clamping has a significant impact on the neonate. Studies indicate that early clamping may cause an abrupt surge in arterial pressure, resulting in intraventricular haemorrhage. This is even more of a risk in premature babies. Second, there is a risk that the infant donor will develop a need for his or her own cord blood later in life. If that child was a donor and this later need arises, he or she might be without blood, when he or she could have had his or her own blood stored. The first issue is easily addressed. To avoid health risks, normal clamping protocol should be followed and not altered in such a way that might endanger the infant. Additionally, parents of the infant must be fully informed of the risks of the donation and written consent should be obtained from them. The second concern, that the child may need the blood later in life, is more complex. The possibility that an infant donor would be in need of his or her own umbilical cord blood is highly unlikely. There are a number of reasons why the infant may not need the blood later. The diseases that are treated by bone marrow transplantation are not common, and there may be other treatment alternatives available, particularly in the future when the illness would occur. Additionally, the demand for foetal umbilical cord blood will increase as it becomes medically certain that the blood may be used in persons unrelated to the donor. This situation will reduce the need to store a particular infant’s blood since umbilical cord blood from other donors would be available. 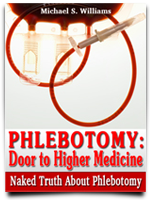 If the blood is sufficient for use in unrelated individuals, then the donor may obtain the cord blood from another donor later in life, making the need to store his or her own blood unnecessary. These original donors, however, should be given priority in receipt of such blood if they need a donation later in life. For all of these reasons, it would generally not be unethical to use the cord blood. However, if the child-donor is known to be at risk for an illness that is treated by bone marrow donation, the child should not be used as a donor, and his or her blood should be stored for future use.